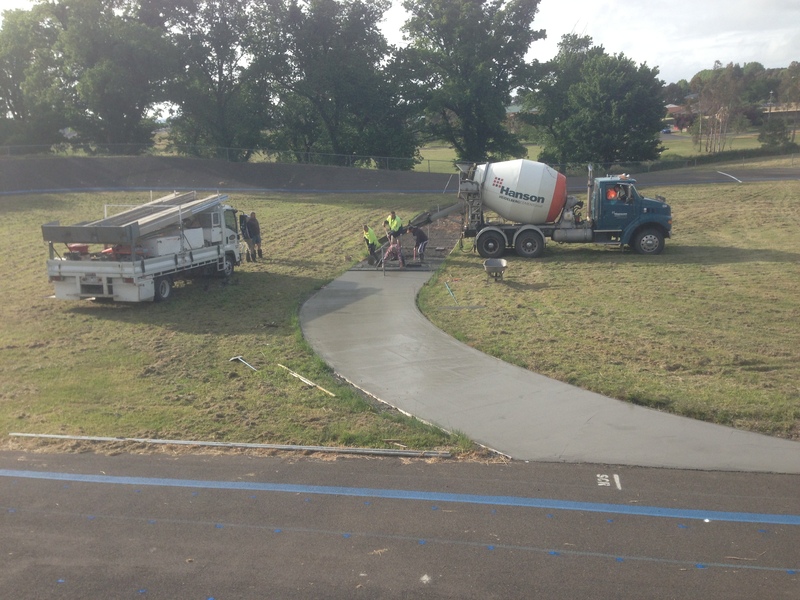 Today, the concrete was finally laid in the new run off area at the velodrome. The concrete was delivered at about 7:30am by Hanson, and was laid and finished by MBC. This was followed up with a BBQ for all who were there! The run off area now looks almost complete, as can be seen in the photos. All that is needed now is for the handrail to be completed, which will be done before the start of the track season. Tomorrow night, 7pm, RSL, Kyneton Annual General meeting. Be there to see what has happened and have a say in what is going to happen!!! CU there. 7 am if you can make it. 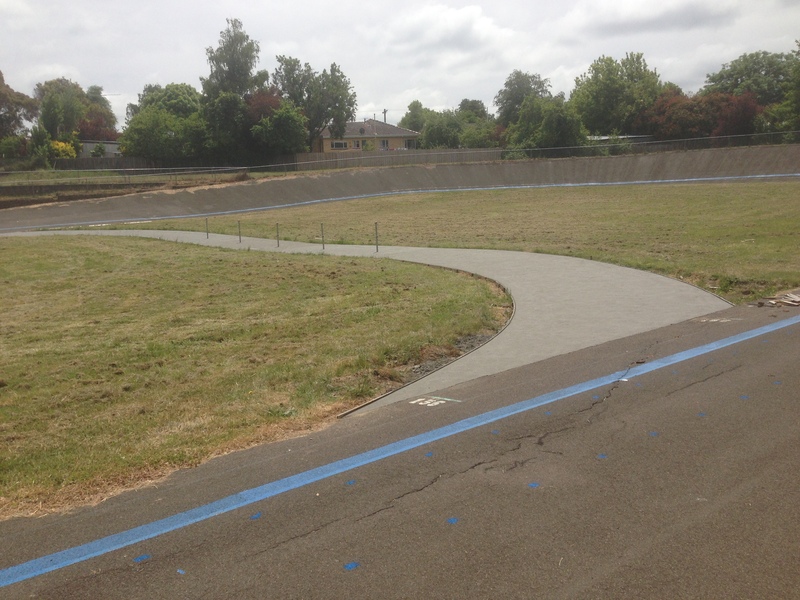 Saturday 17th November velodrome, cementing of safety Roll on roll off area. Note:- come even if you cannot get out of bed that early as there are other things that can be done around the Clubhouse, bring paint brushes and electrical devices to remove old paint and suitable ladders/planks to reach the areas. Then of course the most important thing is the celebratory BBQ at about 12pm after the work is done. SO bring stuff to eat, drink and share. 3. 2.45pm, Saturday 25th November Romsey Festival participation. We will meet in the pub carpark unless otherwise advised. All those who have club kit and even those who don’t are invited to come and be part of the club entry to the parade to display who we are. Following the parade there will be a 30min criterium in the main street between Barry Street and Romsey creek bridge. We will need about four blokes at each end to position the round hay bales for the race unless we can get a tractor to do it. Advice will be give on the day. Will also need a number of people to officiate during the race. Let me know that you will be there and are willing to help. If you are interested in a social ride from Woodend – Trentham – Woodend (about 46kms rated Easy – Medium) this weekend, we will be meeting at Woodend Railway Station (on the big side of the station) at 9:30 am. Sunday 11th November. Bring yourself, bike and money for coffee. Note that you can deviate from this route at any stage if you find the distance/difficulty too onerous. For more details contact Ross on 0429272843.